As part of our journey to Zero Harm, we have been supporting the European Health and Safety at Work week (23-27 October). With a focus on ‘sustainable lives’, we have explored the ways we can help each other stay healthy and safe at work. 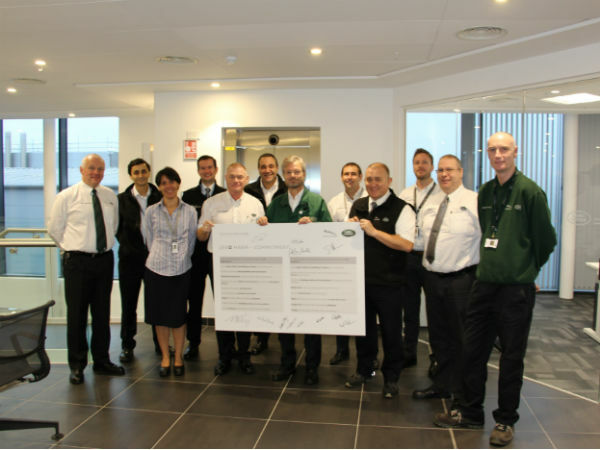 A number of activities took place across our locations to mark the occasion. Our plant in Nitra, Slovakia held a health fair with stands educating colleagues on ergonomics, the meaning of Destination Zero and Know Your Numbers. In the UK our Castle Bromwich site held a Fit for Work initiative, while our Haleweood location put on a game all about PPE, entitled 'Safety Brain Box'. A number of colleagues have also made pledges to uphold our principles by signing our Zero Harm posters – so no matter where you are in the business, you are invited to do the same on this final day. 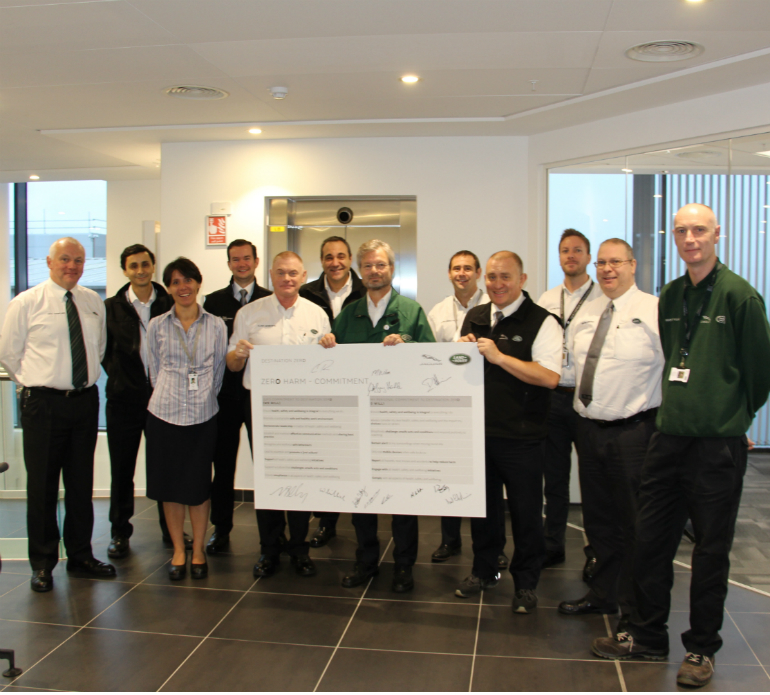 Pictured holding the signed poster (from left to right) are: Clive Roberts, Solihull Plant Safety Champion; Wolfgang Stadler, Manufacturing Director and Nigel Blenkinsop, Solihull Operations Director.